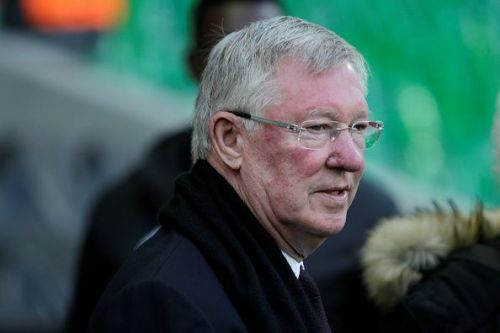 It has been five years since Sir Alex Ferguson retired as the manager of Manchester United and it is fair to say that the Old Trafford devotees are still waiting for the glory days to return. The Scottish manager is widely regarded as the greatest British manager of all time, and his exploits with Manchester United are well known throughout the world. Ferguson stepped down after 26 glorious years at Manchester United. The former United manager made Old Trafford a fortress, a place where teams were frightened to play the home side. He conquered England 13 times - the most by any manager in the Premier League era. But sadly the number of Premier League titles won by United remain 13, as they have failed to recreate their best form for the last five seasons. Since the legendary Scotsman retired, United have been managed by David Moyes who’s reign as the United boss failed miserably with United finishing seventh under his management. Ryan Giggs, the legendary United winger did serve as an interim manager upon David Moyes' departure. Then came the Dutchman Louis van Gaal who changed united’s playing style. Known to exhibit flair and dynamism, United were always the side to watch, but under Van Gaal what the fans got were low tempo games which as everybody knows - were boring. Van Gaal was relieved of his duties after two seasons, and then came the special one - Jose Mourinho. The Portuguese manager will enter his third year as the United boss next season, and his stay in Manchester so far can be arguably termed as non-satisfactory. Manchester United did win the Europa league, League Cup and the Community Shield under the former Chelsea manager’s guidance, but a club with such a glorious past deserve more. United haven’t even come close to winning the Premier League crown since Sir Alex left. The Scotsman did have his own way with the players. Over the years many great players have donned the United shirt. But in the last five years, many players have come and gone, this is very unlike Manchester United. There have been misfits in terms of players which one can hardly expect under Ferguson's management. Here we present to you five players whom Sir Alex would have never signed. The German legend is truly one of the greatest midfielders of all time. The former Bayern Munich man is a serial winner with a plethora of titles won at the Bavarian club. Schweinsteiger is a World Cup winner, a competition he won in 2014 when Germany defeated Argentina to claim their fourth world championship. With a status of that of a bona fide champion, some would really question his presence on the list. 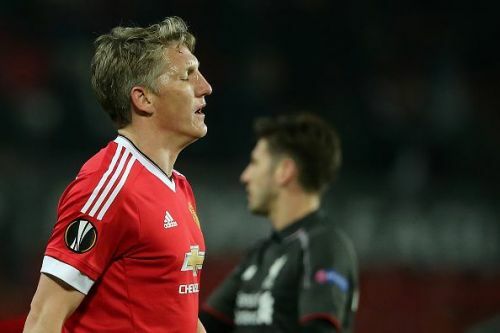 Despite being such a great player, the sad part for Manchester Untied is that Schweinsteiger was past his prime when he arrived at Old Trafford. Sir Alex might have signed the German when he was younger, but signing a veteran who was way past his prime to control the midfield of Manchester United was never going to happen under the Scottish manager. Bastian spent 2 dull seasons at Manchester United after being signed by Louis van Gaal in 2015. He might have done wonders for the Red Devils had he made the switch 5 years prior, but with form and age not on his side, the German couldn’t do much and was offloaded after 2 seasons.